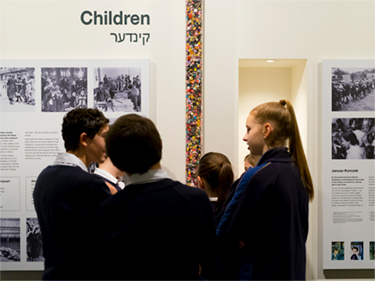 Our permanent exhibition takes the visitor on a captivating journey through the history of the Holocaust, where photos, artefacts and documents donated by Melbourne survivors provide evidence and illustration of life for Jewish people in Nazi-occupied Europe. The exhibition is punctuated by audio-visual stations where local survivors testify to their eyewitness experiences, and artworks made by survivors also provide another layer of testimony. Interactive multimedia kiosks allow for a deeper exploration of the topics, such as a country-by-country insight into the Holocaust. Our StoryPod kiosks enable visitors to explore survivor experiences in depth. 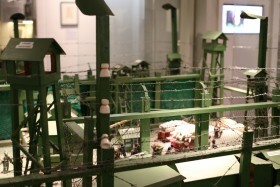 The centrepiece is the model of the Treblinka death camp, made by survivor Chaim Sztajer, one of very few survivors of that site of atrocity. It provides a chilling insight into one of a number of camps the Nazis built solely for the purposes of murdering people, most of whom were Jews. A highlight of a visit is the opportunity to see up close the lead ring model that Jewish prisoner, Jozef Gross, made as the model to create a ring for Oskar Schindler while in Brunnlitz camp. This ring rests alongside 100 incredible ’ stories of people who saved Jews during the war. Visit the museum A short video introduction to the JHC museum featuring Holocaust survivors and museum guides. Explore StoryPods StoryPods feature the inspiring stories of Holocaust survivors who volunteered as museum guides at the JHC. 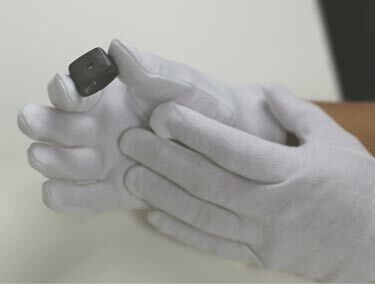 This is the model used to make a signet ring for Oskar Schindler. It was made from old lead piping by one of the Jewish inmates, Jozef Gross. At the end of the war the Jews in Schindler’s Brunnlitz factory in Moravia wanted to make a ring as a parting gift for Oskar Schindler to thank him for saving them. Gross was a master jeweller from Krakow, Poland. He was born in 1904 into a large family. During the war he lost his whole family, his mother, his wife, Chaya Sara and young son, Ludwik, and his seven siblings. On his release from Buchenwald concentration camp following his imprisonment in November 1938 during the Kristallnacht pogrom, Franz Goldstein was required to leave immediately for Britain, which he did. He changed his name to Frank Golding and joined the British Army. 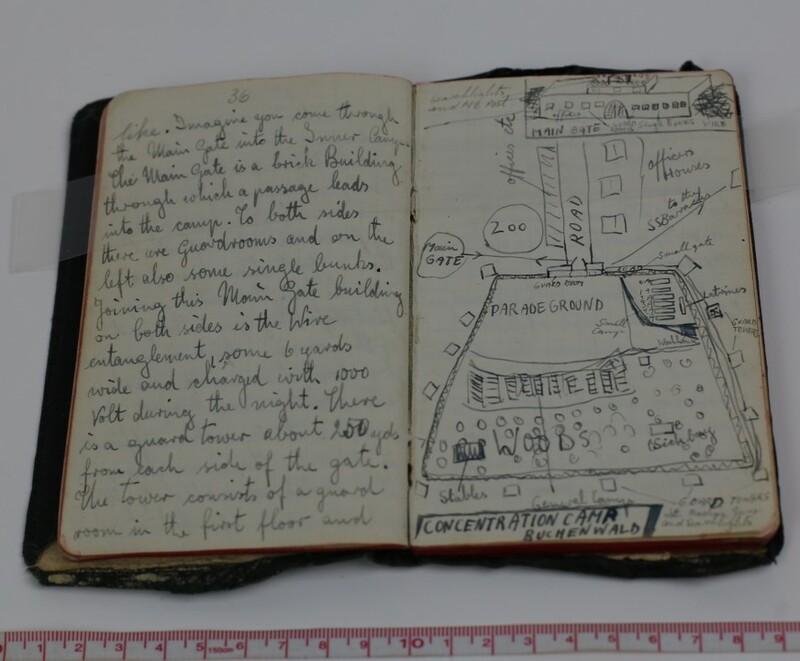 He also wrote a diary, first in German and then in English, documenting his torment in Buchenwald.